The Joint Congenital Cardiac Anesthesia Society-Society of Thoracic Surgeons Congenital Cardiac Anesthesia Database is a multi-institutional registry that tracks variables related to the anesthetic management of patients with pediatric and congenital cardiac disease. This registry is an optional module of The Society of Thoracic Surgeons Congenital Heart Surgery Database and is part of the Congenital Cardiac Anesthesia Society’s commitment to patient care and research on outcomes improvement. Patients in the registry include not only cardiac surgical patients but also those with pediatric and congenital cardiac disease undergoing procedures in locations other than the operating room, including in the cardiac catheterization laboratory, intensive care unit, general operating room, and radiology suite. Because of the relative infrequency of anesthesia-related events in this low-volume procedure, a multi-institutional database is the most reasonable approach to capture a sufficient number of patient encounters in a timely manner to support outcomes analysis, quality assessment, and quality improvement. Children undergoing repair of congenital heart defects are among the sickest population treated by anesthesiologists. The incidence of complications such as cardiac arrest related to anesthesia is proportionally much higher, the difficulties associated with airway and vascular access are well known, and the time and money spent on their care is substantial. To date there have been no systematic reviews of their anesthetic care and the associated complications, particularly those that do not result in cardiac arrest. The Joint Congenital Cardiac Anesthesia Society-Society of Thoracic Surgeons Congenital Cardiac Anesthesia Database marks the first real-time picture of the “state-of-the-art” of anesthetic care for patient with pediatric and congenital cardiac disease. This information will help guide future care as well as provide better information for the patients and their families. International Society for Nomenclature of Paediatric and Congenital Heart Disease. 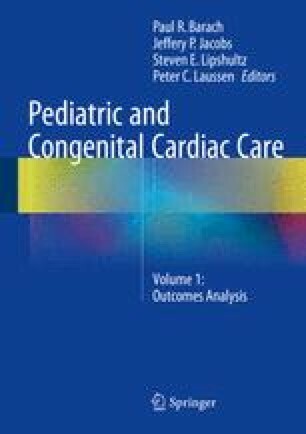 International Pediatric and Congenital Cardiac Code. IPCCC. [Online] [Cited 9 Apr 2012]. www.ipccc.net. Society of thoracic surgeons. Database HIPAA FAQ. [Online] [Cited 9 Apr 2012.] http://sts.org/sites/default/files/documents/pdf/DCRI_FAQ-Technical_Document_re_Identifiers_in_Database_Final.pdf. Society of Thoracic Surgeons Congenital Heart Surgery Database Executive Summary 2010. [Online] [Cited 28 Oct 2011] http://www.sts.org/sites/default/files/documents/STSCONG-%20Executive%20Summary-All%20patients-Spring2011.pdf. STS database collection of protected health information FAQ for STS database participants. Society of Thoracic Surgery. [Online] [Cited: 19 Oct 2011] http://www.sts.org/sites/default/files/documents/pdf/DCRI_FAQ-Technical_Document_re_Identifiers_in_Database_Final.pdf. Society of Thoracic Surgeons. How to become a participant. [Online] [Cited 19 Mar 2012]. http://www.sts.org/sts-national-database/database-participants/how-become-participant. STS congenital heart surgery database v3.0. [Online] 2010. [Cited 19, Mar 2012]. http://www.sts.org/sites/default/files/documents/pdf/ndb/CongenitalDataCollectionForm3_0_Annotated_20090916.pdf.